This new survey covers all the intricate and beautiful art styles of the so-called “Viking Age.” It ranges in time from the first major Viking expeditions overseas around AD 800 to the establishment of Christianity in Scandinavia some three hundred years later. An opening chapter gives the historical and geographic background. Thematic chapters then describe and discuss the six main Viking art styles, showing how they emerged from and interacted with one another. Delicate metalwork is contrasted with elaborate wood carvings and the famous Gotland “picture stones,” and we move up in scale from the Oseberg ship to decorated weapons and fine jewels. 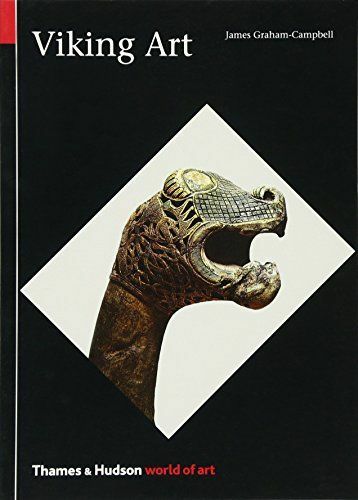 The book’s conclusion looks at the art in relation to Viking mythology and sagas as well as its legacy in later times.